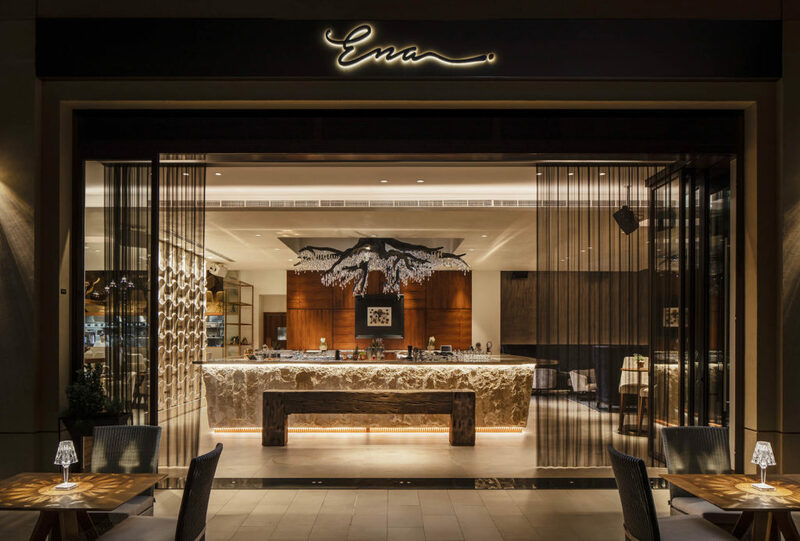 The Ena restaurant is a perfect setting to enjoy Greek, home-style cuisine and hospitality in an Arabian setting. 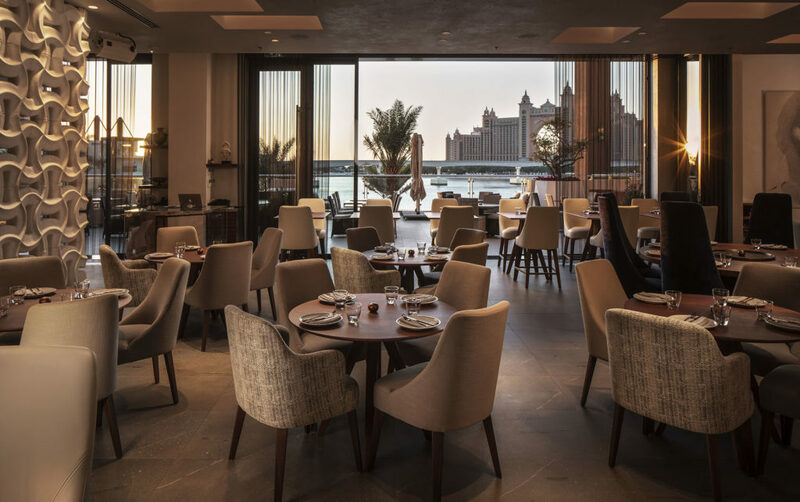 Located in The Pointe, Palm Jumeirah, the restaurant offers stunning views of the Atlantis Hotel and the Arabian Gulf. 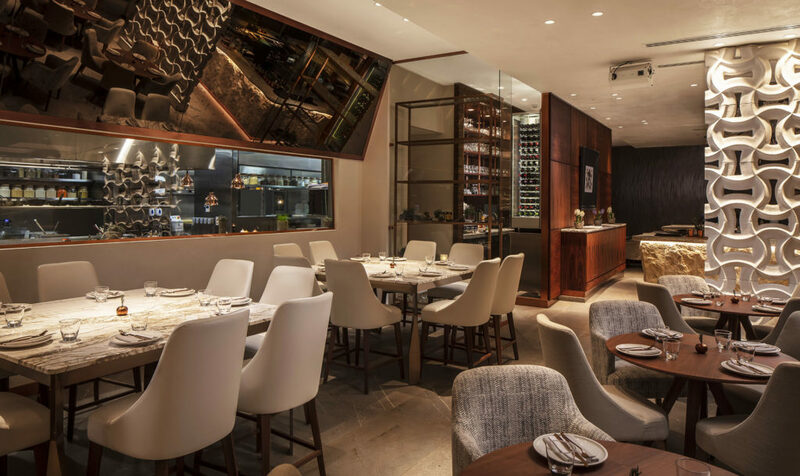 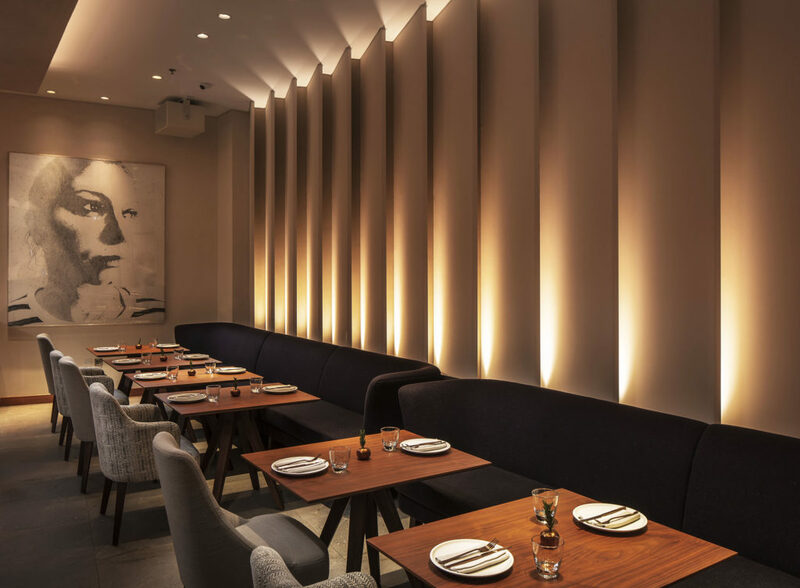 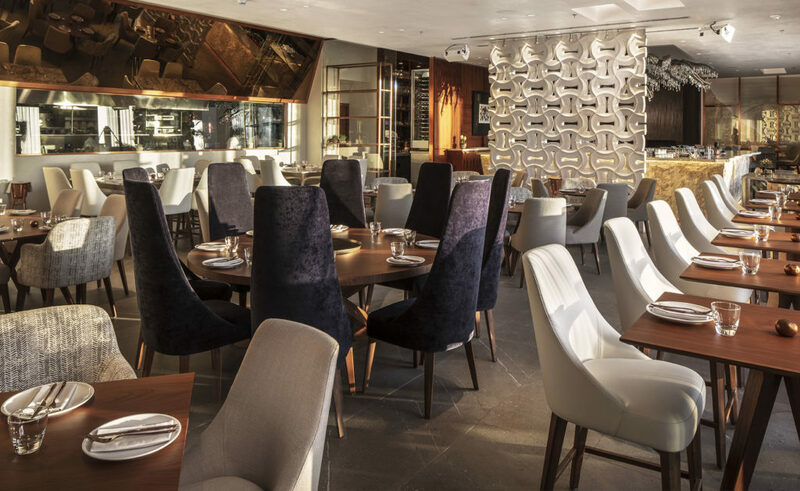 Designers LXA collaborated with the restaurant’s founder, Lena Maniatis, to create an interior that is modern, contemporary and elegant. 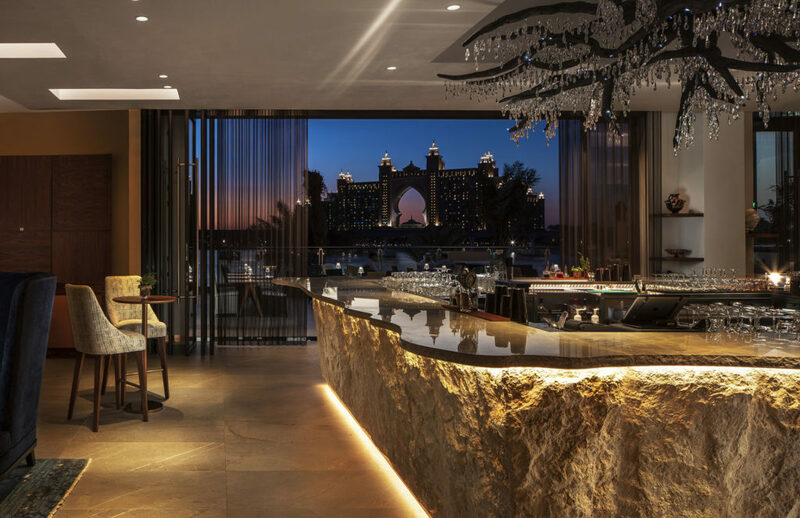 One of the key elements of design is the stunning olive tree chandelier that hangs over the bar area and beautifully illuminates the space. 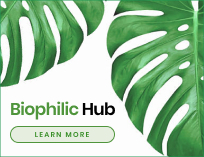 Adorned with Swarovski crystals, the chandelier pays homage to the experience of sitting under the bough of an olive tree, with the light reflecting and detracting through the branches. 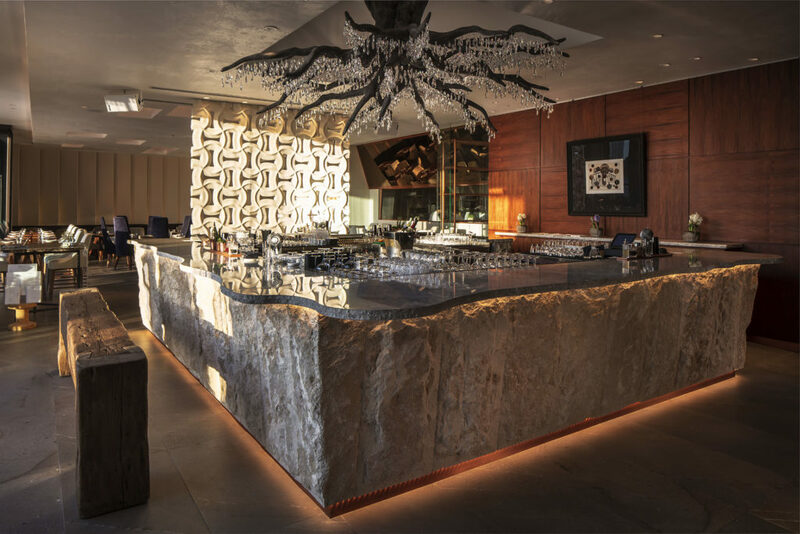 A huge block of concrete acts as the counter, with recessed lighting, adding an element of drama to the piece. 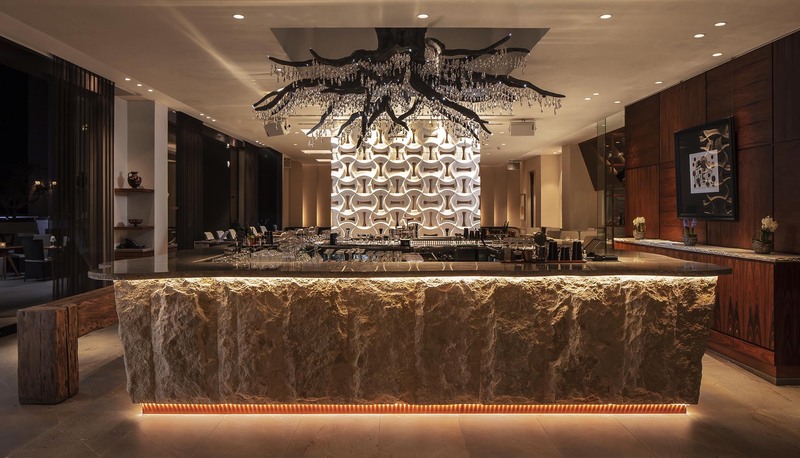 The walls are styled with contemporary art pieces by Greek artists to further highlight the founder’s Greek roots.